The bottom line is GRID Autosport is a console-gaming experience on an iPhone – a ‘proper’ full-on racer that's jaw-dropping in execution, and that, importantly, remains an awful lot of fun. The fluidity, audio and graphic fidelity, level of detail, and overall polish that this game port has received make it a truly must-buy game, even if you are not into auto racing. GRID Autosport is a phenomenal mobile gaming accomplishment and a game you have to see to believe. If you want the best racing game on mobile by far and one of the prettiest games ever to grace the platform, stop reading and go buy this game right now. 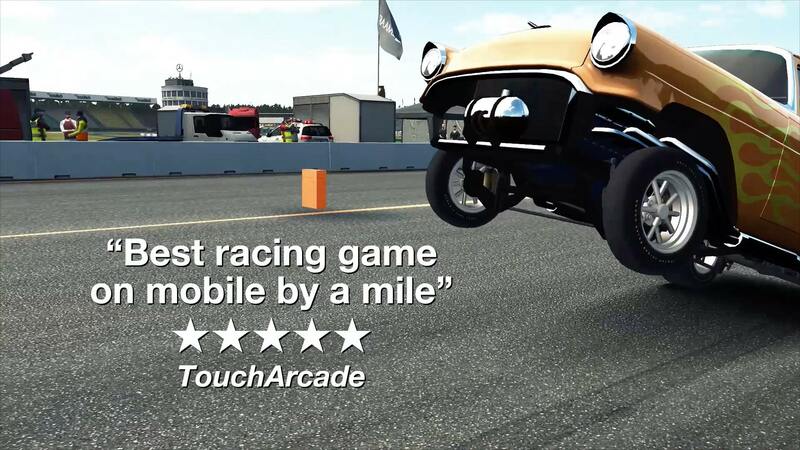 An absolutely stunning racing game that feels like it was always meant to end up on mobile. This is the PC game on your phone. The graphics on my iPhone 8 are nothing short of astonishing and the gameplay is spot on. Wow, what else to say! Never seen anything like this on a mobile device before. Incredible graphics and gameplay. Feral has done an incredible job with moving this game to iOS. It runs smoothly and the graphics are indeed console quality. It’s crazy how good this looks running on a new iPad. The price is more than fair considering the quality and amount of content. This sets a new standard for iOS gaming. Perfection in every way. The physics are extremely real and satisfying, different types of cars actually handle really differently [...] The graphics are insane, there is so much content, the controls are superb, so much you can customise.